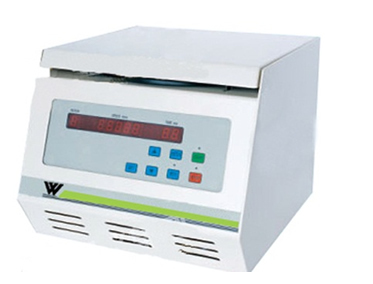 Weiber Benchtop High Speed Low Capacity Centrifuge ideally suits the needs of the most rigorous lab or clinical environment. High speed centrifuge driven by an electric motor rotates object at the desired speed and set by user to separate particles on the basis of particle density. The equipment maximizes productivity by processing more samples in less time. These Benchtop Centrifuges work on the principle of sedimentation employing centrifugal acceleration to separate particles on the basis of their density. The equipment features digital display of RPM, RCF, temperature, temp limit, program, brake and time. The tubes are rotated perpendicular to a fixed axis. The centrifuge is available in refrigerated and continuous mflow models, featuring intelligent technologies that eliminate imbalances and simplify operation –maximizing productivity and results. It is also known as Lab Centrifuge.